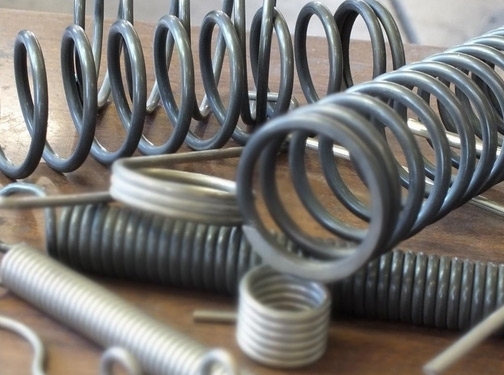 Manufacturer of tension, torsion and compression springs in round wire from 0.006" upwards. Also shapes from 0.014" upwards. Materials include spring steel, stainless steel, phosphor bronze and pre-plated wire. Automatic computer controlled machines and hand coiling allow economical production of large and small runs. Customers include manufacturers in the computer and electronics industry and precision and valve engineers. BS EN ISO 9001 : 2000 approved. UK (Irvine, Ayrshire) based business providing tension, torsion and compression springs. Website includes details of products provided, FAQs, accreditations gained, blog, full contact details.